Our Lord, the Father of families, called him to cultivate the vine of the Mexican empire, employing therewith the great talents with which he was gifted. In doing so, impelled by his ardent zeal, he went to Mexico and learned the Mexican language with such ease that in the provincial Chapter held on May 8, 1563 at the convent of Epazayocan, he was appointed preacher and confessor in the Mexican language. 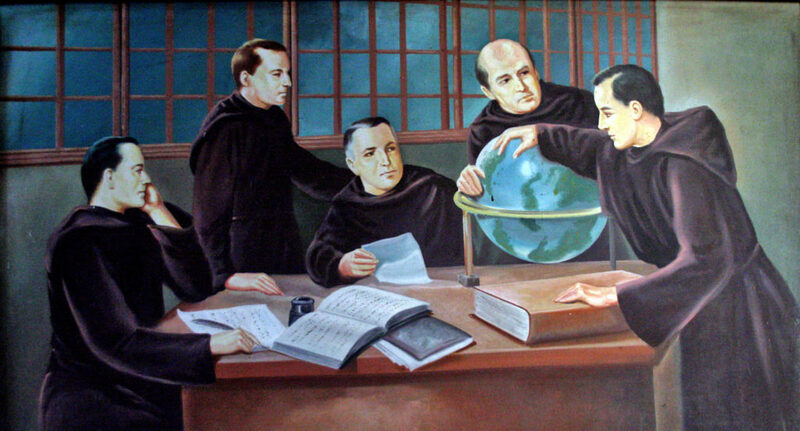 However, since it seemed to him to be too small a sphere for the ardor that filled his breast in the efforts of new conversion, he went with the rest of the religious in 1564 to the Philippines, where as apostles of those islands, they sowed the seed of the Gospel, converting innumerable residents. The venerable Fray Diego worked in this temporal conquest and spiritual work with his indefatigable spirit. The governor of the islands placed his confidence in his great talent. 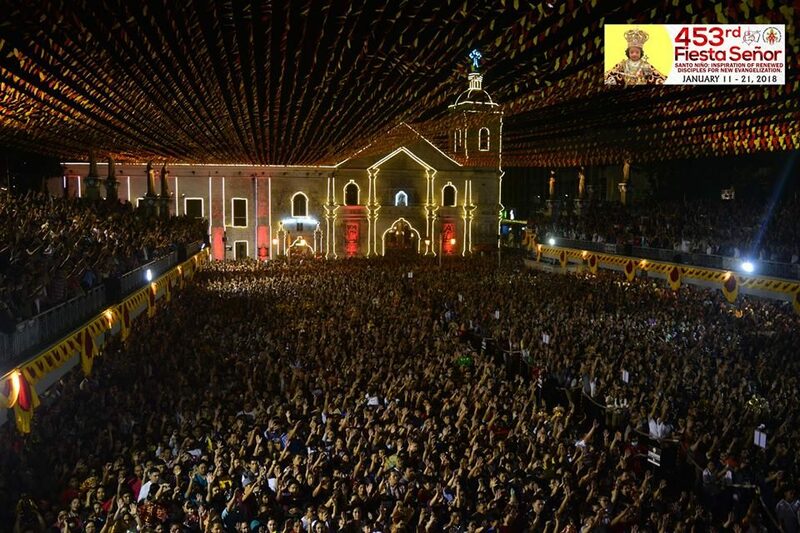 Thus, to assure success, he brought the priest with him in his pacification campaigns of Manila, becoming the instrument by which the local kings surrendered vassalage to our King, with some of them surrendering to the King of heaven and earth. 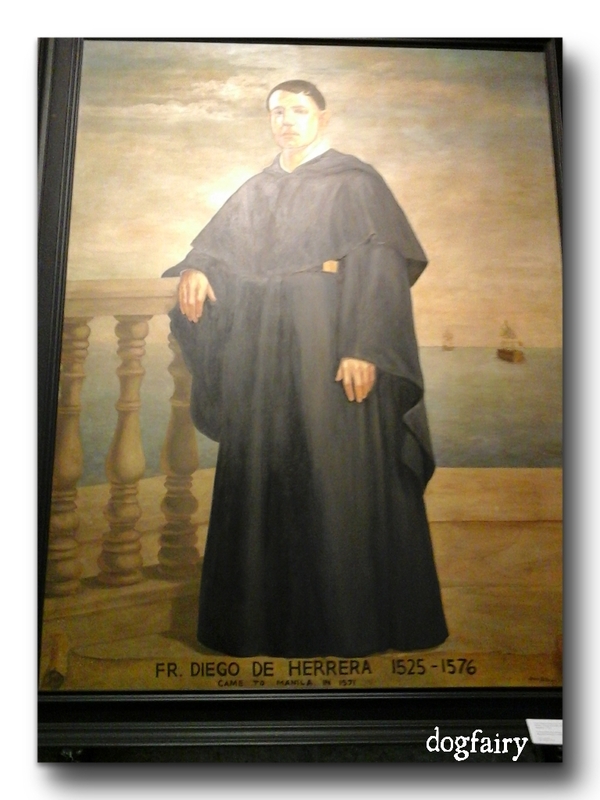 The venerable Fray Diego left with the above-mentioned religious. When they reached the port and embarked on the ship called Espiritu Santo or San Juan – as others say – they sailed on November 18, 1575, leaving Acapulco under good winds. But a hundred leagues from Manila towards the island of Catanduanes, whether due to fierce storms, too swift a current or carelessness of the pilots, the galleon was wrecked on the coast and dashed to pieaces. 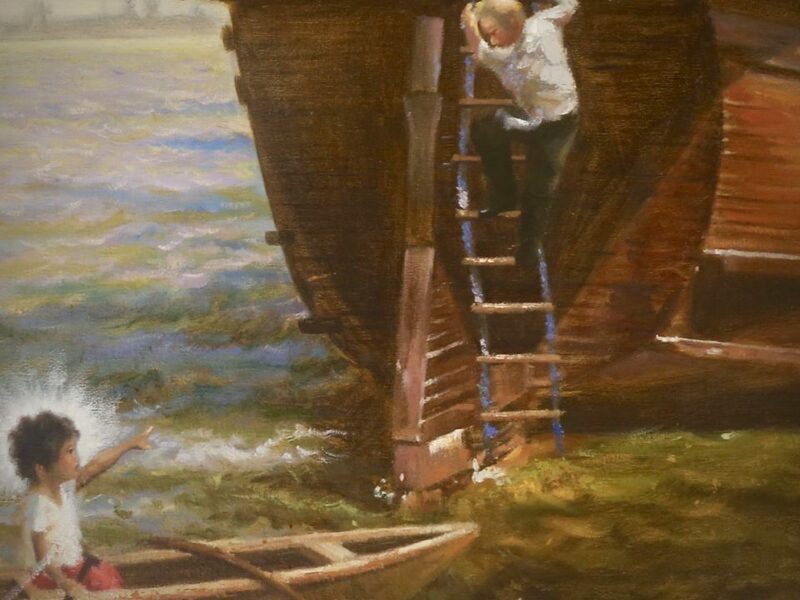 Since, on such occasions, many usually escape on smaller boats or on pieaces of wood or by swimming, about twenty to thirty people reached land, and among them were our religious. The barbarous islanders attacked and killed them with their spears and cutlasses. They watered the earth with the blood of the religious, recording on the sands the cruelty of the tyrants, and the constancy by which the religious tolerated such a cruel death at their hands. The barbarians attempted to hid their cruel deed for some time until, subject to vassalage and doctrine, they were educated and converted under the administration of virtuous clerics. 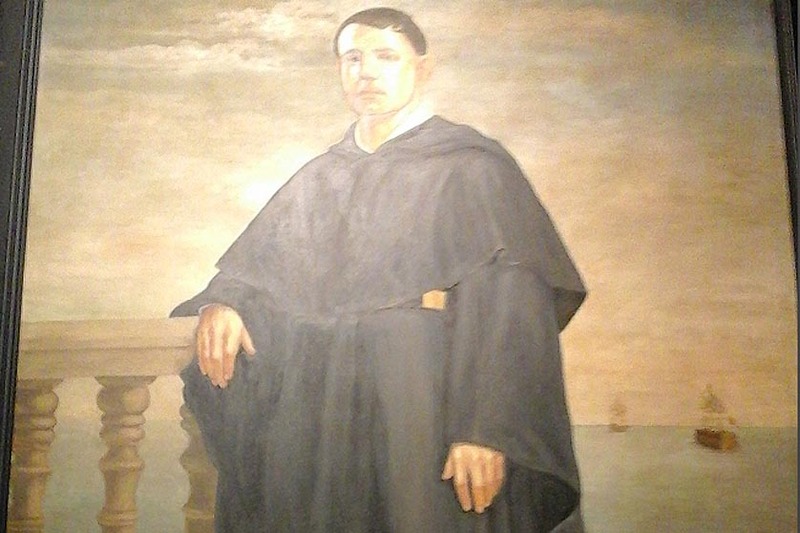 Alonso Jimenez de Carmona was their parish priest for more than forty years. Later in Japan, he joined our order, and led an exemplary life when he lived a few years in the Philippines. In the end, he returned to Japan, where he died in piety, as shown in the customs and apostolic ministry he displayed throughout most of his life. Having the responsibility of the curacy of Catanduanes, he uncovered the details of the events from an old islander who was present during the tragedy. The old man recounted how the religious, having landed, went with the rest of those who were saved to a rock jutting out to the sea where they set up a cross. The islanders where hidden, and recognized them as religious because of the habits they wore. They decided to kill the religious before murdering the others since the religious were viewed as enemies of their laws, who had to teach them a new religion contrary to theirs. Having agreed on this, the islanders approached them. A venerable ancient from among the religious, speaking Cebuano, came to meet them. This could not have been any other than the venerable Fray Diego. He asked them what they wanted. He inquired if the islanders knew they were religious and priests who exposed themselves to danger, hardships and the storms that had thrown them to the beach to save the islanders’ souls. Without waiting for any other explanations, the natives attacked the venerable Fray Diego like ferocious lions, impaling him with a lance, together with the other religious and seculars who escaped the shipwreck. The native storyteller claimed he took part in this spectacle. The rest, after having undertaken the bloody murders, retreated in fear of what the Spaniards in Manila would exact in retaliation against their cruelty and hatred of the Christian religion.